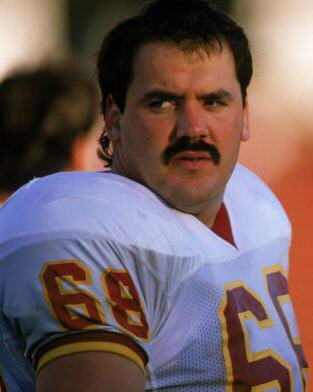 Former Redskins Hog Russ Grimm becomes the first Hog to make it to the Pro Football Hall of Fame. Former Washington Redskins guard Russ Grimm is in Hog Heaven. Grimm became the 18th member of the Redskins, and the fifth during the Joe Gibbs era, to be inducted into the Pro Football Hall of Fame in Canton, Ohio Saturday. Grimm played 11 seasons for the Redskins, winning three Super Bowls and appearing in four. He made four consecutive Pro Bowls, was named a three-time All-Pro, and was selected to the NFL’s All-Decade Team of the 1980s. This entry was posted on August 8, 2010 at 1:29 am and is filed under Uncategorized. You can follow any responses to this entry through the RSS 2.0 feed. Both comments and pings are currently closed.